Means "main goddess" or "mastermind" in Sanskrit. Devayani is also like beautiful, faithful, trustworthy, kind, and many other wonderful things. In Hindu mythology, Devayani was the daughter of Shukracharya, who was rejected by the son of Brihaspati, Kacha. Devayani is a Tamil actress. Devyani is a common name in some Indian flims. 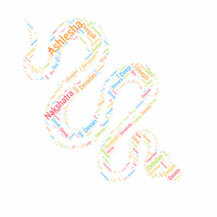 Search through our baby name collection containing letters example ojas. Chaturbahu literally means four-armed in Sanskrit. 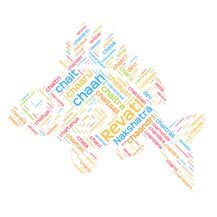 Chaturba..
Sanskrit girl name Charulata (चारुलता) means beautiful creep..
Chandika is the supreme Goddess of Devi Mahatmya also known ..
Balram is a elder brother of Krishna. Balarama is in charge.. Derived from the Sanskrit 'Vijaya'(विजय) means 'Victorious, .. In Sanskrit Subha means auspiciousness, welfare, fortunate. ..
Khagendra means 'lord of birds' from Sanskrit word of Khaga .. There's more to Indian names than our focus area. Still looking for more? here's a list of recommended resources what we do! Copyright © 2016 Pitarau, Inc. All Rights Reserved. http://www.pitarau.com/ is a participant in the Amazon Services LLC Associates Program, an affiliate advertising program designed to provide a means for sites to earn advertising fees by advertising and linking to Amazon. Clicking on an Amazon link from http://www.pitarau.com/ does not increase the cost of any item you purchase.